Unique device address (0xA1) to connect 2 UNI/O EEPROMs on the same bus. Need more microcontroller pins for new features? Want to stay with a low pin-count microcontroller rather than switching to a more expensive one? 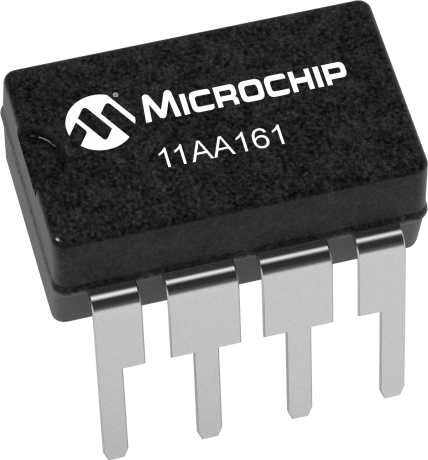 Microchip’s UNI/O® bus serial EEPROM uses only one connection to the host microcontroller. This compares to two or three pins for I2C and three to six pins for Microwire or SPI buses. This proprietary bus offers advanced features like a status register and write protection on demand, along with all I/O, memory array and command functions through a single pin. This device has a unique device address (0xA1) to help connect 2 UNI/O EEPROMs on the same bus.